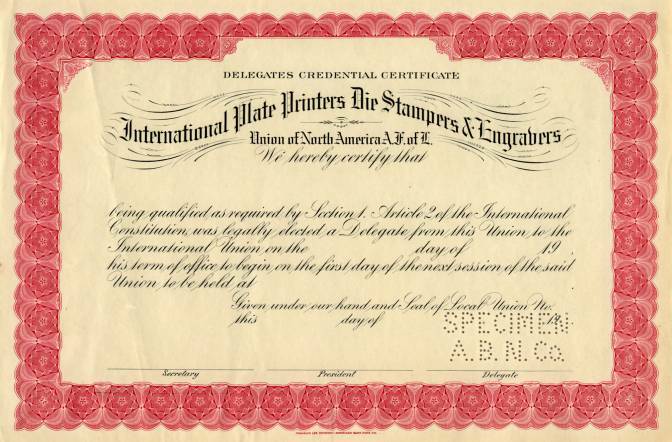 Beautiful specimen Delegates Credential Certificate from the International Plate Printers Die Stampers & Engravers. 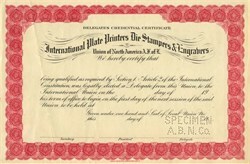 This historic document was printed by the American Bank Note Company and has an ornate border around it with a vignette of the company name and is punched stamped Specimen. This is the first time we have seen this certificate, and we only have one.